I don't know if its the fabric or the color, but it seems when I wash it with other darks, especially anything blue, it will stain the shirt, leaving it unwearable. This is the second one that I've gone through. Doesn't do it with my orange one, so I don't think its the fabric, but the yellow one does it every time. Response from Charles Tyrwhitt: I'm sorry to see you have had a spot of trouble when washing your lovely yellow polo shirt, which is most unfortunate. While I haven't experienced anything similar myself, I do tend to wash lighter colours together just to be safe. You are covered by our no quibble guarantee if you would like to return the shirt to us in light of your comments and we'll gladly provide a replacement in any colour. 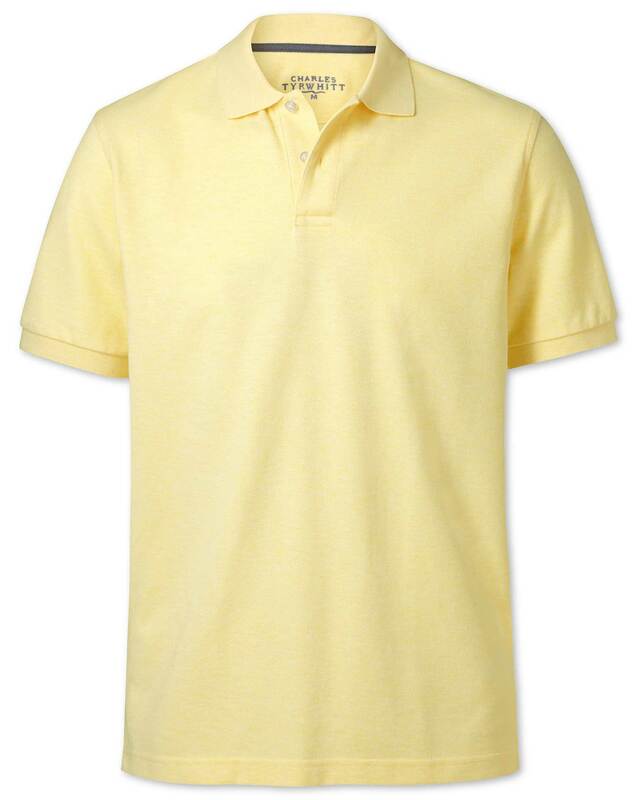 Nice color and fit well, a nice polo. The fabric could be of a little higher quality and softer. I'm very happy with the quality of the shirt, am pleased with the fit, and think the color and style look great.